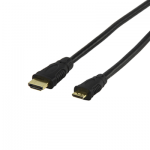 Our mini and micro HDMI leads are High Speed HDMI cables with Ethernet and are suitable for device networking and are able to handle video resolutions of 1080p and beyond, including advanced display technologies such as 4K and 3D. The mini connector enables you to connect your devices to a LCD, plasma TV or home cinema set. These are the latest and definitely the best way of connecting AV equipment along with our high quality range. 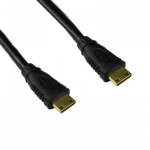 HDMI leads and cables can carry Audio and Video without interference, if you can use it, do – it is almost future proof! 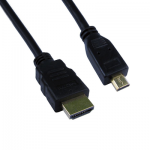 If you can’t find what you’re looking for either try our HDMI Adaptors page or Contact Us if you have any questions or need a little more information.